Turn it into the new Block 37, the once vacant city block and troubled development in the middle of the Loop which was turned into an outdoor event space until a building came along. First event might be an exhibition on Chicago's failed 2016 Summer Olympics bid. 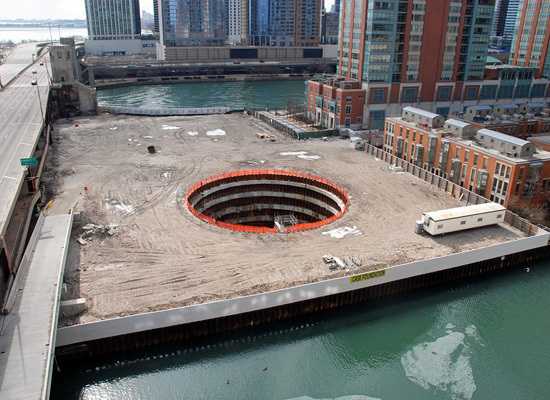 First event might be an exhibition on Chicago's failed 2016 Summer Olympics bid. Cover it with a see through trampoline. A competition for the Millennium Park's ice skating rink and the Sears Tower Skydeck Ledge.